Birds & Blooms is a limited edition set, meaning that it will only be available for exactly one year (February 15th, 2013 through February 15th, 2014). This set is exclusive for purchase with Rewards Points only, it cannot be purchased with cash. Birds & Blooms can be yours with the redemption of 24 Rewards Points. It will be available for a year, so you have plenty of time to save up your points and earn this set! Have questions about our reward points system? You can check out the Rewards details page here. Whimsical wreathes and birds on branches in bloom are the focus of the lovely set, but my focus for today is on the individual and tiny blooms which I've used to create a clean and simple single layer card. I began by stamping the sentiment. I just love this elegant font combo! Don't you?! Around the sentiment I stamped randomly an assortment of flower groupings in a pretty navy, aqua/mint and berry color combo. 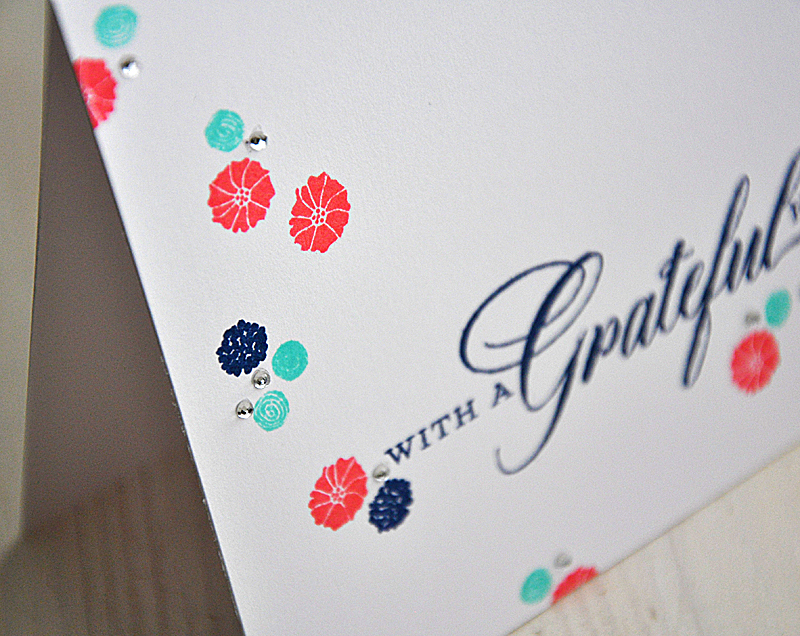 Then I finished the card off with a few tiny rhinestones. I love how you used the flowers for the card background! Gorgeous! Great idea and color choice! A one layer card at its finest. This is amazing Maile! 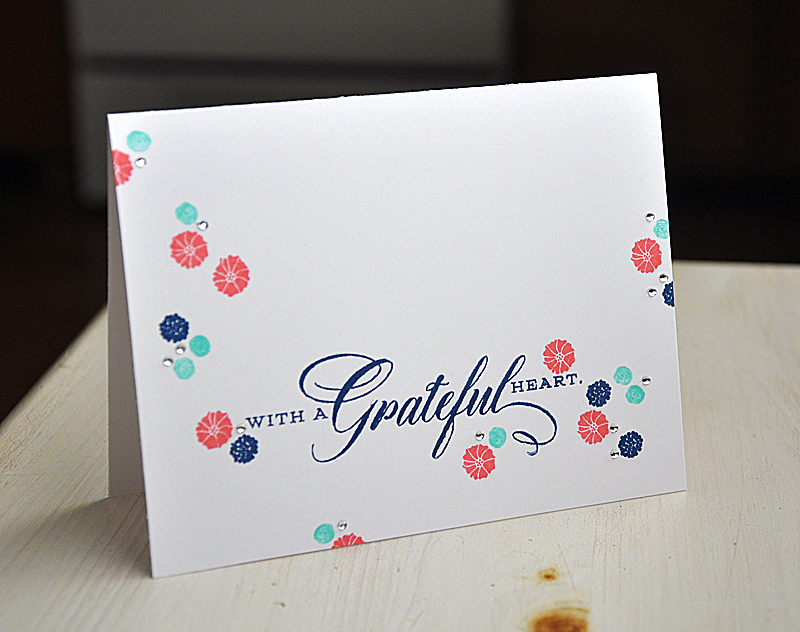 I'm loving the colors you used and the ultra-clean and simple design of the card. Another masterpiece!